Striped bass fishing is red hot on the lower end of Lake Powell, with fish eagerly taking anchovies and other baits. Smallmouth bass fishing is also very good and that action will peak during the next couple weeks. Largemouth bass, walleye, catfish and sun fish are also cooperating with anglers. Meanwhile, ice is now coming off some of Utah's most popular trout waters. The ice is going quickly at Scofield and fishing there has been very good for cutthroat and tiger trout. At Strawberry, ice is now pulling back and the much anticipated "ice off" fishing will take place during the next few days. We've also heard that ice is pulling back at Current Creek Reservoir. Is is completely off Otter Creek and many other reservoirs in southern Utah. Fish Lake is the exception – it will still be a couple of weeks before it opens up. The ice-off period often brings great trout fishing. The fish seem to congregate along the edge of the ice as it pulls back from shore. Anglers who position themselves so they can cast and work lures along the edge of the ice often do very well. Come cast flies or lures onto the ice and then hop it along the surface until it falls off the edge. Trout often hit lures as the fall vertically at the edge of the ice. During spring fish can be finicky and there are no guarantees. Many factors affect success and action is slow at times. But, on average, you have a very good chance of catching nice fish if you get out during the next couple weeks. Our streams are mostly in good shape and also offer great fishing. Snowpack is low and so runoff has not yet become a problem. If the weather stays warm for an extended period, we may get some high water that makes stream fishing difficult. But if we continue to have warm/cold cycles, runoff may never be a big problem this year. The Green, Provo, Ogden, Weber and many other streams now offer good fishing. Boulder Mountain and the High Uintas will not open up until mid or late June. 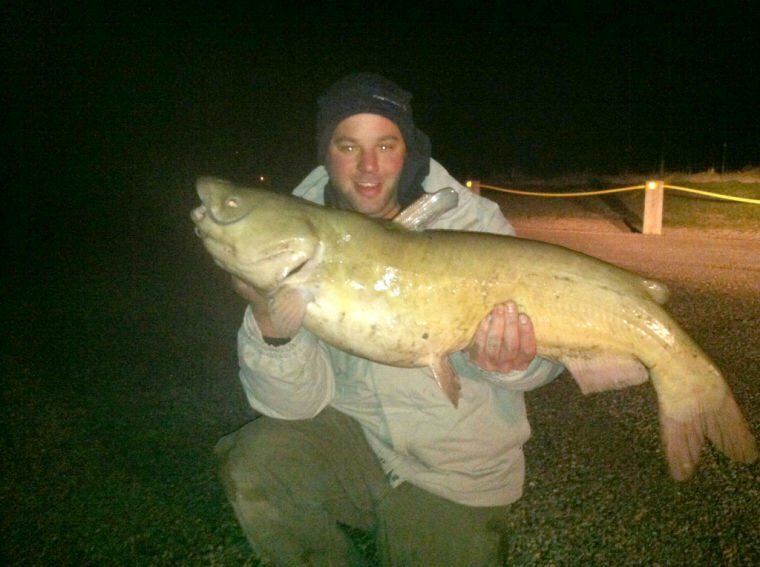 Utah's Division of Wildlife Resources confirms a new "catch and release" record channel catfish was caught caught April 12 at Cutler Reservoir.. It measured 36-inch long. We are using of photo of that fish to illustrate this blog post. For detailed Lake Powell reports and fishing tips, see Wayne Gustaveson's excellent website. The DWR gives frequent updates on fishing conditions, along with timely tips. I'm aggregating them here.